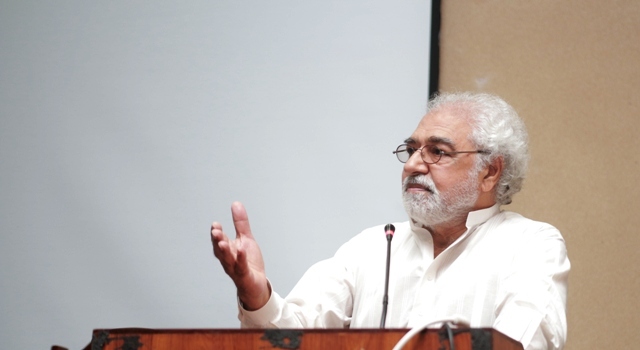 Ayaz Amir talked about the historical background of the ethical issues facing the Pakistani media. Sharing with the students the old concept of a journalist being widely read, well travelled and ever-willing to stand up for the rights of the people, has started to diminish to an extent. Ayaz very nicely related the commercial model of broadcasting to the many of the ethical problems one may find with journalists' or anchors' work. Ayaz's emphasis was not so much on thrusting solutions. He rather sought to lay things clearer for the future-journalists (the students) in a rapidly-changing media environment. As ever, it was a wonderful talk followed by a flurry of questions from students. 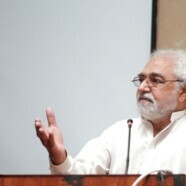 The students attending the talk were quite appreciative of the oratory style peculiar to Ayaz. The talk was attended by students and faculty members from Mass Comm and other departments.